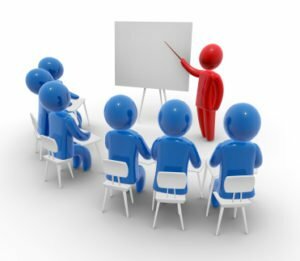 Our preference is for customised and contextualised training that is delivered in a facilitated and interactive fashion. As a result, we spend planning time with our clients to understand the context and to prepare experiential exercises that are relevant to the audience. We do occasionally deliver public courses and these will be advertised on our events calendar. ProfWeb has developed a repertoire of over 180 training programmes in the time that it has been in training, development and capacity building. Our modular core material allows us to customise material on demand and in very short time periods. We utilise only highly trained and experienced facilitators, priding ourselves in the fact that we are not the cheapest option. Many of our facilitators are visiting faculty at a number of universities and have delivered training programmes internationally. We have established formal links with a number of academic institutions and international certification bodies, enabling us to deliver a range of programmes from short courses to Masters Level qualifications which are fully compliant with SA requirements. We are an accredited training provider with the Institute of Management Consultants and Master Coaches of South Africa. As an added option, our courses can be quality assured by a private university, giving you added flexibility. Formal programmes in conjunction with registered universities up to Masters Level. Continuing Professional Development (CPD) programmes. Public programmes, which we have designed or co-designed. Professional development interventions in association with professional bodies. Fully customised in-house programmes tailored in partnership with our clients for their specific needs. Our competitors have often utilised our services to rectify their problem situations. Major conference organisers have utilised our services to design and deliver their conferences and events. We are accredited by professional bodies and universities to deliver quality assured material. Train your staff in coaching and mentoring approaches. Develop and establish formal coaching and mentoring systems within your organisation. Develop specific coaching instruments and methods in conjunction with your senior staff. Assess your coaching and mentoring approaches formally. Provide executive and performance coaching services. Provide supervisory coaches and other support mechanisms for your coaching programmes.